Guess Who Voiced the Marvel Cameo in Guardians of the Galaxy Post-Credits Scene? 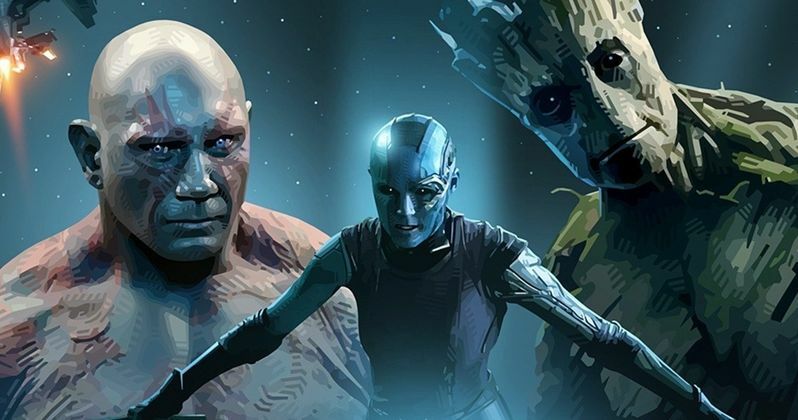 As we reported /watch-the-leaked-guardians-of-the-galaxy-post-credits-scene/earlier in the week, the Guardians of the Galaxy post-credits scene was withheld from advanced screenings to retain some of the surprise for true fans and paying audience members. This stinger of course leaked onto the Internet, giving away the surprise a day early. Included in this scene, which finds Benicio Del Toro's The Collector recovering from an atomic blast that has leveled his personal Museum of space oddities from across the galaxy, are two Marvel cameos that should make fans extremely happy. The first is Cosmo, a Russian dog who guards the space station Knowhere, and is a staple character of the Guardians of the Galaxy comic books. He's also seen earlier in the movie, housed in a cage. We never do get to hear him speak (as he does in the comics), and he's played by James Gunn's real life dog Von Spears. The second character is the biggest surprise in the movie. As previously reported, Howard the Duck shows up in the very last seconds of the film (eagle-eyed viewers may be able to spot him earlier}. And he has a couple of lines. AICN has confirmed that the actor behind Howard T. Duck is none other than Seth Green! That's right, the voice behind Chris Griffin on Family Guy and the creator of Robot Chicken. Scott Evil is Howard the Duck!